See the hit television show live! Why See Miraculous - Tales of Ladybug and Cat Noir? 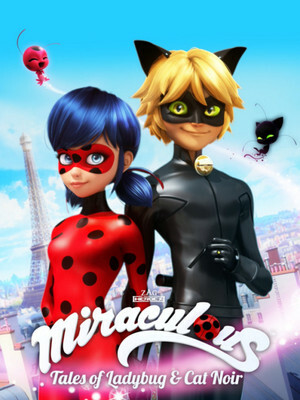 Animated series Miraculous: Tales of Ladybug and Cat Noir was an immediate hit when it first came to screens in late 2015 and has gone on to be broadcast in over 120 countries. Based on a superhero crime-fighting duo, the story inspires audiences with its relatable and strong characters. The story focuses on aspiring fashion designer and Parisian teenager Marinette who attends school and dreams about being with her crush Adrien. Marinette is a pleasant and delightful girl who transforms into superhero 'Ladybug' with her partner Cat Noir and a yo-yo as her weapon. Dedicated to protecting the city of Paris from evil supervillians, the pair are prepared to take down the evil Hawk Moth when he changes regular civilians into villains by using the power of the Miraculous! Seen Miraculous - Tales of Ladybug and Cat Noir? Loved it? Hated it? Help your fellow Boston Theater visitors by leaving the first review! Sound good to you? 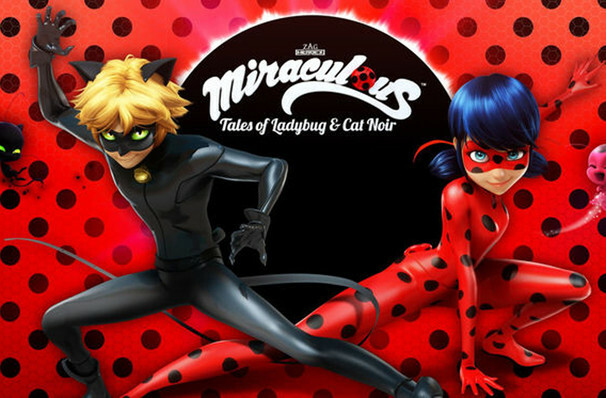 Share this page on social media and let your friends know about Miraculous - Tales of Ladybug and Cat Noir at Shubert Theatre. Please note: The term Shubert Theatre and/or Miraculous - Tales of Ladybug and Cat Noir as well as all associated graphics, logos, and/or other trademarks, tradenames or copyrights are the property of the Shubert Theatre and/or Miraculous - Tales of Ladybug and Cat Noir and are used herein for factual descriptive purposes only. We are in no way associated with or authorized by the Shubert Theatre and/or Miraculous - Tales of Ladybug and Cat Noir and neither that entity nor any of its affiliates have licensed or endorsed us to sell tickets, goods and or services in conjunction with their events.